It?s very easy for most people to mistaken residential and commercial roofs as the same. They are very different and require different materials. Commercial roofing materials require different mechanics than that of a residential roof, mainly due to the design of it. Let?s take a closer look at how residential roofing and commercial roofing differ. The main different between a commercial roof and residential roof can be compounded mainly to one key point ? design. A commercial roof is often flat because it is more suitable for larger buildings. It?s usually too costly and time-consuming for commercial roofing contractors to work on a roof that has a gable-to-gable design (traditional residential roof type). There are multiple different residential roof tops that include: Hipped L-Plan, T-Plan, Hip-to-Hip and many other ones. These are all usually pointed upward in some direction and are complex. This is easier for residential roofs because the roofing company has less space than with a commercial building. This is why you won?t see too many of the commercial buildings in the air with any kind of shape, though some do ? and that?s usually up to the discretion of the owner. Similarly, you rarely see a home with a flat roof ? so the exclusivity is usually to commercial buildings only. This is why the commercial roofing materials are so vastly different from a residential roof. 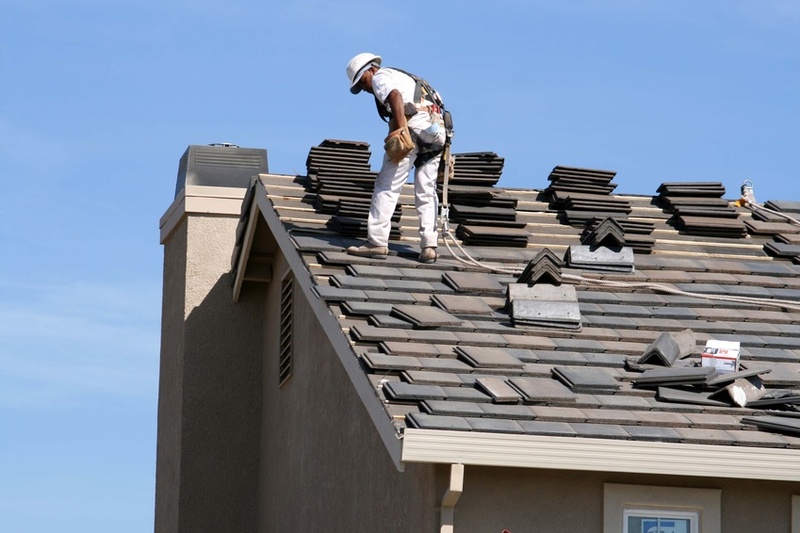 You should look into a contractor who has eco-friendly roofing. This is available for both the commercial roof and the residential roof and are made of recycled products. This help with reducing the number of trees being cut down by using refurbished wood. This wood has usually been re-grained and can make for better building material since it has some age and wornness to it. Building with newer materials can be difficult and they are more likely to break because they haven?t been tested by the weather and time yet. Hire a roofing contractor who has experience working with both residential and commercial roofing materials. The more knowledge the roofing contractor has, the faster and better the services received back. Contact each contractor and inquire further about their experience in the industry and ask for prices. After you?ve done this, make sure you assess all reviews online before making an informed decision. Though, with the right amount of time spent researching, you are guaranteed to find a commercial roofing contractor that can easily assist you with all of your needs. If you have additional questions about the difference between residential and commercial roofing materials, you should contact a local hardware store that can help better explain it in detail for you. Better yet, contact a roof contractor today and they can come over and explain everything wrong with your roof now and get the repair process started. So what are you waiting for? Get that contractor on the phone!